Turn your designs into physical objects faster than ever. 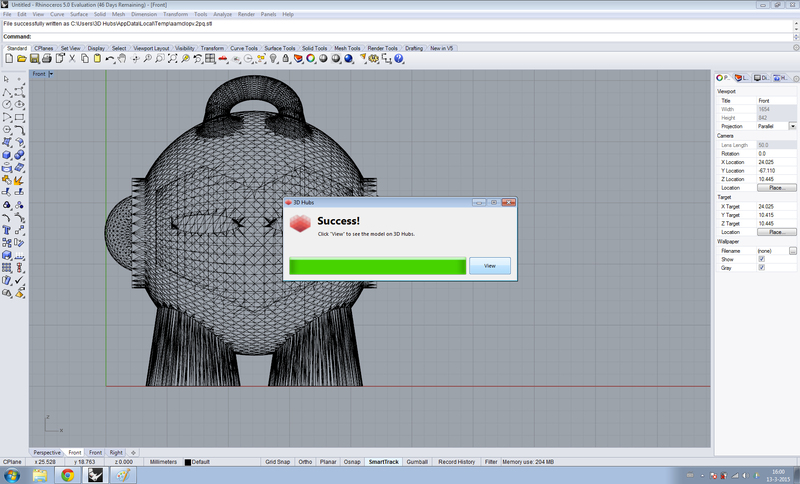 We've created a plugin for Rhino users to export your designs straight from Rhino into 3D Hubs. 3D Hubs connects you to over 14,000 local 3d printers all over the world. Userflow is simple: Send your file from Rhino to 3D Hubs, choose your material and print location, and have your print within a couple of days or less. You can find the plugin here! and please let us know what you like about it and what could use improvement. We want this to be a useful tool for Rhino users.